Simple infections used to be no big deal—see a doctor, get on a course of antibiotics, and you’ll be right in a few days. Yet, as humans have become more innovative with modern medicine, the bacteria we battle have been growing wise to our tricks too. 1 What Are Superbugs, and Where Did They Come From? 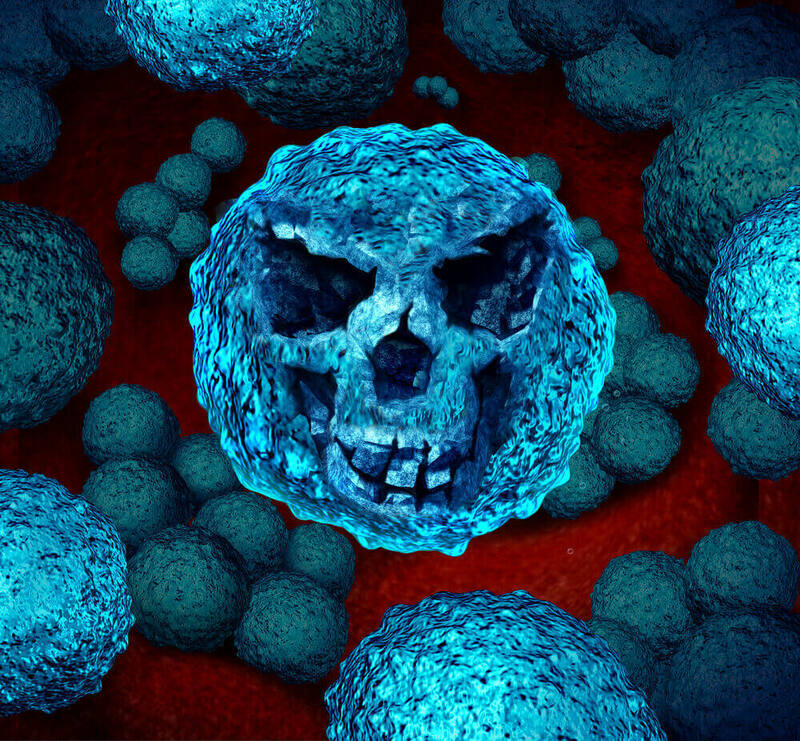 What Are Superbugs, and Where Did They Come From? One of the world’s current medical challenges are “superbugs”, highly-evolved strains of bacteria that are resistant to the antibiotics commonly prescribed today. Respiratory tract infections, skin infections, urinary tract infections, and other infections that used to resolve after a week’s course of antibiotics now become supremely difficult to treat – and at times, even deadly. It’s mistakenly believed that the person taking antibiotics develops resistance to antibiotics. In fact, what learns resistance is actually the bacteria itself. Antibiotics use various mechanisms of action to disrupt bacterial cell functions and eventually kill them. However, over time, bacteria adapt to these mechanisms. To ensure survival, they evolve to outsmart the antibiotics. Once a strain of bacteria has adapted and changed, it renders the antibiotic ineffective against them, resulting in resistance. Superbugs that don’t respond to treatment is a life-threatening problem worldwide today. Researchers from Adelaide Medical School estimate superbugs will take about 700,000 lives per year. But as determined as bacteria are for their species to survive, so are us humans! Here are some new treatments found for antibiotic-resistant superbugs. Antibiotics must first bind to the bacteria in order to destroy it. Imagine a lock-and-key mechanism: the antibiotics hold the key, the bacterial cells have the lock. Antibiotic resistance means that bacteria changes the lock so the key won’t fit anymore. Thus, the antibiotic can no longer bind to it and destroy it. Still, there are some uncommon antibiotics that are the last resort to the “last-resort drugs”. Oritavancin, a modified version of “last-resort” drug vancomycin, is a ferocious antibiotic used for skin infections. Instead of fitting a key into the bacteria’s lock, oritavancin was able to “force the lock” open. In some instances, it could even “tear the door off its hinges”, according to University College London researcher, Dr. Joseph Ndieyira. Oritavancin’s mechanism of action is to actively tear holes in the bacteria cell wall and make it burst open with brute force. That’s a much more vicious approach than penicillin (which only holds open the cell wall when the bacteria multiplies and ensures the holes never close). Of course, there are only so many antibiotics you can come up with, and even then, most superbugs will soon be resistant to new drugs in approximately a year. Instead of concentrating effort trying to out-super a superbug, some scientists are venturing into new treatment methods that subvert usual means. One such method is an antibiofilm gel being developed by researchers at Adelaide Medical School, pioneered by Dr. Katharina Richter. Biofilms are a layer of bacteria that coat body surfaces such as the nasal sinuses, and if the bacteria are resistant to antibiotic treatment, it could result in chronic sinusitis. Richter’s antibiofilm gel is applied in the sinuses, and attacks superbugs in two phases. First, it deprives superbugs of iron, their nutritional source. Then it feeds them what Richter calls “the equivalent of poisonous chocolate”. Richter explains that it’s unlikely for superbugs to develop resistance to this method, because the gel interferes with bacterial food pathways instead of attempting to take another whack at the lock-and-key binding mechanism. This means that older strains that have developed resistance to common antibiotics and new, evolved strains will be susceptible to the treatment. The gel has so far proved particularly effective against golden staph (staphylococcus aureus), a bacteria that thrives in the nose and causes chronic sinusitis. Phage therapy works by harnessing tiny viruses called bacteriophages to destroy drug-resistant bacteria. Bacteriophages invade the bacterial cells, then grow and multiply inside the cell at a rapid rate. Unable to contain the volume of bacteriophages inside it, the cells explode and die. Phage therapy has been around since the 1910’s, but was forgotten after the discovery and subsequent mass production of penicillin in the 1940’s. And yet, with proper development, phage therapy has the potential to be as beneficial as antibiotics. Bacteriophages are narrow spectrum agents, which means each bacteriophage strain targets only a single bacteria strain. And it’s designed to kill this type of strain only. This gives phage therapy a more precise approach compared to broad-spectrum antibiotics (which kill all living microorganisms, even natural or good flora). Experts say there are over 10 million trillion trillion species of phages – infinitely more than there are antibiotics available today! This means that even if bacteria develop resistance to one strain of the bacteriophage, there are millions more strains available to take its place. Currently, phage therapy is not easily accessible; patients need special clearance to qualify for phage treatment. It still needs Food and Drug Administration approval, and there’s still a long way to go before phage therapy becomes a mainstream treatment method. It’s not going to replace convenient and affordable antibiotics as first-line treatment for infections, but when all else fails, phage therapy just might be what will save the day – and a life. Alexander Fleming won the Nobel Prize for Medicine in 1945 for his game-changing discovery of penicillin, but even then he had warned that the overuse of the drug could lead to bacterial resistance. Decades later, it turns out he was right. In the war against disease, misuse of antibiotics is like bringing out the big guns too early – it allows the bacteria to grow wise to the mechanisms of the drug and evolve into superbugs much faster. Now a lack of accessible treatment for superbug infections throws us back to the pre-penicillin era. Don’t take antibiotics when not needed. Viral infections, for example, will resolve on their own and do not need medication. Don’t self-medicate. You might wind up taking the wrong kind of antibiotic, or one that’s too strong. Don’t stop taking antibiotics even when you feel better. Always finish the prescribed course of antibiotics in full to ensure all the bacteria will die and none will live on to evolve into a new strain. The problem of antibiotic resistance won’t be cured in a week’s course. But with scientific innovation and responsible antibiotic use, we can get the upper hand in the battle to debug superbugs.